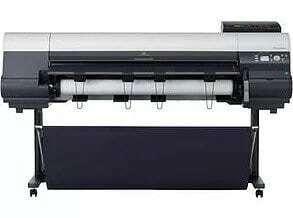 The imagePROGRAF iPF8400 SE is a 44″ large format printer designed for vibrant poster creation in the signage, infographics display, and retail markets while maximizing productivity. The 6-Color LUCIA EX pigment ink set emphasizes the use of red ink, which allows for incredibly vibrant and eye-catching prints to be produced while providing benefits such as scratch resistance. These printers include a color profile that’s designed specifically for poster creation to maximize use of the LUCIA EX ink system’s strengths in color reproduction, and helps to produce a wide color gamut that is in some cases comparable to what’s seen on 8-Color devices. The iPF8400 SE printer feature an economy printing mode that reduces ink consumption by about 50% compared to standard mode to help cut down on printing costs. 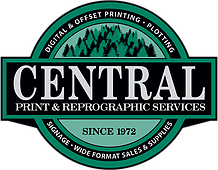 The imagePROGRAF iPF6400 SE is a 24″ large format printer designed for vibrant poster creation in the signage, infographics display, and retail markets while maximizing productivity. The 6-Color LUCIA EX pigment ink set emphasizes the use of red ink, which allows for incredibly vibrant and eye-catching prints to be produced while providing benefits such as scratch resistance. These printers include a color profile that’s designed specifically for poster creation to maximize use of the LUCIA EX ink system’s strengths in color reproduction, and helps to produce a wide color gamut that is in some cases comparable to what’s seen on 8-Color devices. The iPF8400 SE printer feature an economy printing mode that reduces ink consumption by about 50% compared to standard mode to help cut down on printing costs.